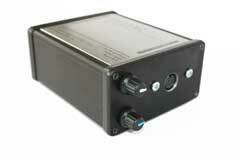 BX-13-VC 24-to-13 Pin Bus Converter - NEW for 2013! 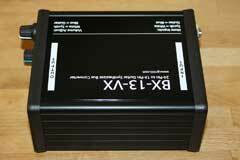 BX-13-VX - Expander 24-to-13 pin Bus Converter, with Roland G-303 vintage guitar synthesizer controller. Since the brief appearance of the BC-13 in late 1989, Roland has continued to developed the 13-pin synthesizer format, with the current GR-55 containing a multiple guitar synthesis technologies, both analog/physical modeling synthesis and pitch-to-MIDI PCM synthesis.. 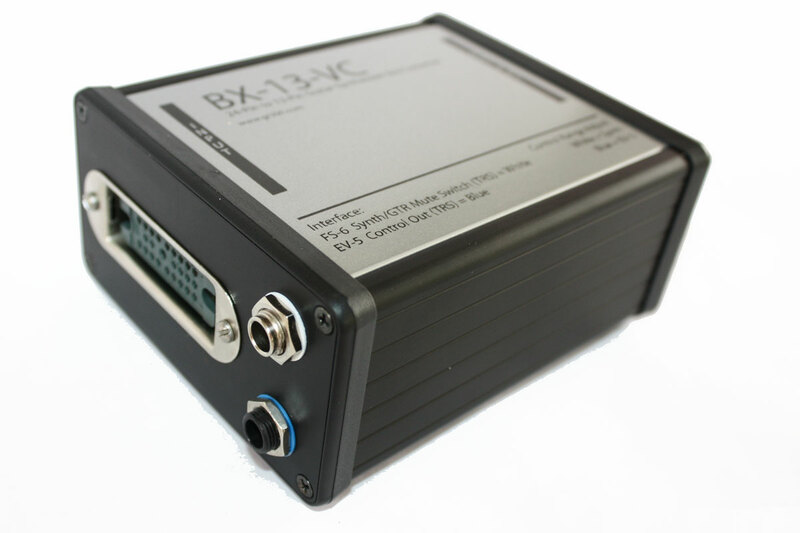 The BX-13 series of bus converters are designed to update the original Roland BC-13. The most notable change is a volume control, which controls the scaling of the GK Synth volume commands to be compatible with any Roland 13-pin guitar synthesizer, from the GR-50 to the newly released GR-55. 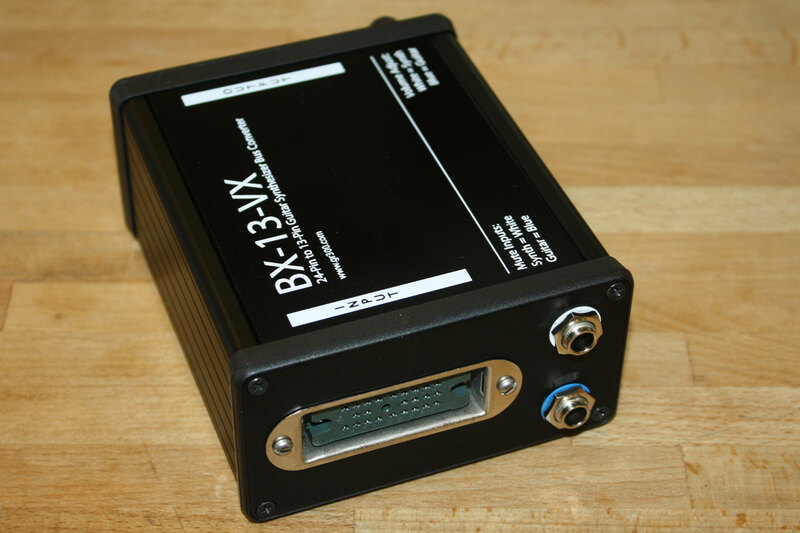 There have been an entire series of BX-13 units, from the original BX-13, to the BX-13-V2, BX-13-V3, BX-13-VX culminating in the BX-13-VC, the most compact of the BX-13 series of bus converters, with features not found on the original BC-13 like support for Roland EV-5 control and Hex Fuzz Signal access through the attached 13-pin synth. This diagram shows how the Roland BC-13 uses the Resonance knob to switch guitar and synth on and off. The BC-13 uses the Resonance Knob (CV#2) in a way that is very similar to the Mode switch on the vintage GR-series guitar. But rather than having a three-position switch, the knob has three "zones." The first zone is guitar only, the middle zone is guitar and synth, and last zone is synth only. Confusing? Yes. As you can imagine, it is almost impossible to quickly and accurately turn guitar and synth signals on and off. The BX-13-VC improves on the BC-13 by adding two dedicated foot switch mutes. Any simple on/off foot switch can be used to independently turn the guitar and synthesizer output on and off. The mute input on the BX-13-VC is a TRS tip-ring-sleeve input. The tip input, when grounded with an external footswitch, mutes the synthesizer (GK Synth Volume) signal. The ring input when grounded mutes the hex fuzz output sent to the 13-pin synth. For my design, I worked with the new Roland FS-6 foot switch in mind. This foot switch is basically two foot switches in one, with LEDS for each switch. Check out the video demo below to see the system in action! A look at the schematics of various Roland guitar controllers reveals that no two are wired exactly the same. 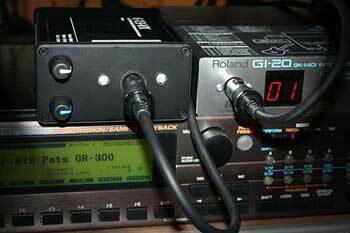 Likewise, the internal circuitry of a Roland GR-55, VG-99, GI-20 and GR-20 differs with each unit. As a result, maximum volume levels can change with different guitars or different synthesizers. 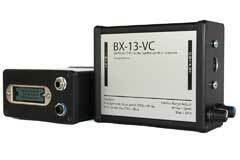 The BX-13-VC adds controls to easily fine-tune the synth volume output for maximum sensitivity and maximum output. The BX-13-VC circuitry has also been thoroughly tested with the vintage Roland bass guitar synthesizer controllers like the G-33, G-77, and G-88. Both a Roland G-33 and G-88 were successfully tested with the Roland GR-55 using the BX-13-VX. A G-77 was also tested with the Roland VB-99 and the Roland GI-20 using the BX-13-VX. Other Roland guitar synths, such as the GR-50 may not work properly, since they were not designed to handle to lower frequencies of a bass guitar. The BX-13-VC is also designed to work with bass controllers and bass synthesizers as well. However, it is important that the connected synthesizer supports bass synthesizer operation. 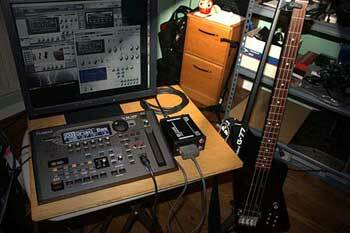 Both the Roland GI-20 and Roland VB-99 work great with the BX-13-VX. The BX-13-VC adds support for the resonance knob on a vintage Roland guitar to be used as a control source with modern Roland guitar synths like the VG-99 or GI-20. This is accomplished by connecting a tip-ring-sleeve cable from the BX-13-VC to a Roland device with a EV-5 input. In addition, the BX-13-VC allows processing of the hex fuzz signal from a vintage Roland G-202/303/505 or 808 guitar synth controller. 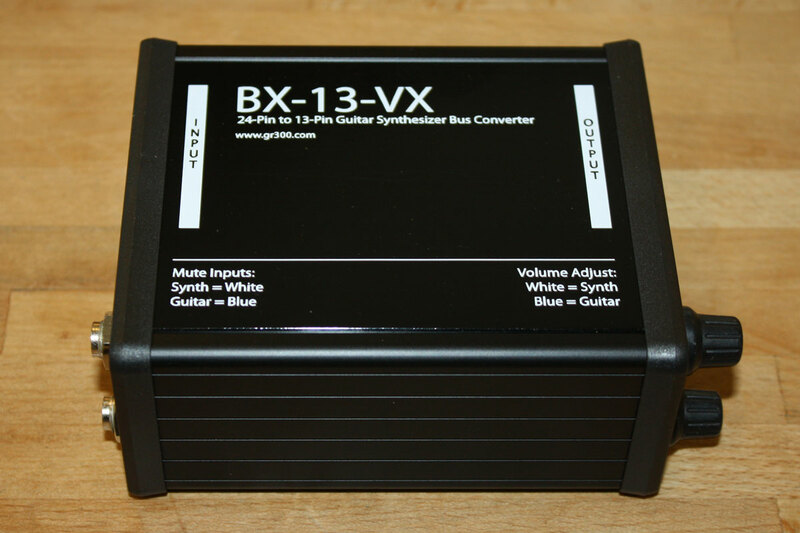 Here is a summary of how the BX-13-VC works with the guitar: the Master Volume control on the guitar controls the guitar signal output from the 1/4” jack on the guitar. The Filter Cutoff knob, or CV#1, sends GK S-Vol signals. The Resonance knob, or CV#2, sends EV-5 compatible control signals from the EV-5 jack on the BX-13-VC. 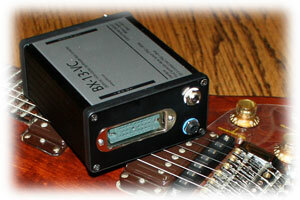 The Mode switch on the guitar sends GK S1 and S2 signals. The white knobs trims the output of the GK S-vol signal. The blue knob trims the output of the EV-5 compatible signal. The 1/4” jack with the white ring is a tip-ring-sleeve input to mute either the GK S-vol signal, or the hex fuzz signal. "Tip" mutes the synth volume, "ring" mutes the hex fuzz signal. The 1/4” jack with the blue ring is a tip-ring-sleeve EV-5 type output tied to the resonance control. 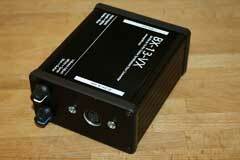 With the BX-13-VC, the 13-pin synth direct guitar sound is the output from the hex fuzz circuit in the guitar. The BX-13-VC allows Roland guitar synths like the VG-99 and GR-55 to process with hex fuzz output using internal effects, and COSM guitar amplifiers and speaker enclosures. Use the links below to download the patches used in the BX-13-VC demo video. 3) Hex Fuzz: The hex fuzz output is always active. With the VG-99/GR-55, it is the "direct guitar" signal, so you need to use patches that access the direct guitar signal. I posted the two patches below I used for demonstration purposes in the video online. For GR-55 users, you can use the 3 factory GR-55 patches that use direct guitar input, 30-1, 30-2, and 30-3 (for Normal PU 1, etc.). Will the BX-13-VC work with the new Roland GR-55? YES! 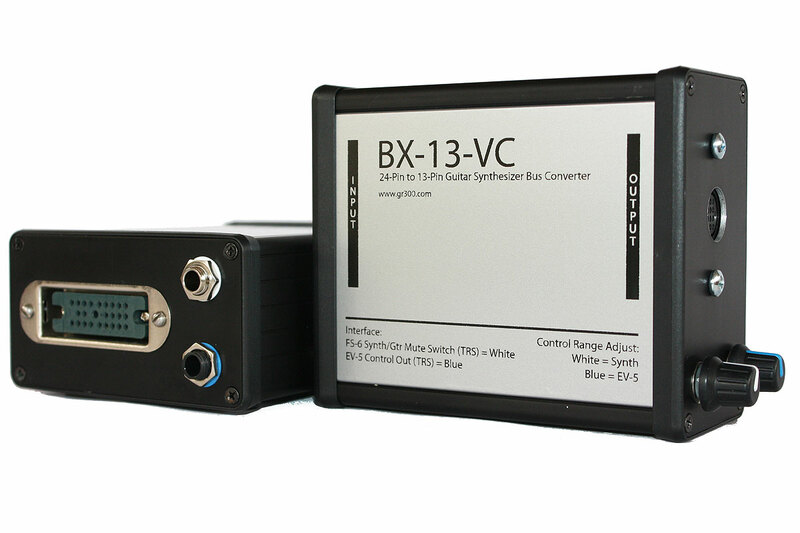 The BX-13-VC works with all Roland 13-pin guitar synthesizers and guitar processors! Does the BX-13-VC add any latency or delay? Will the BX-13-VC work with ANY Vintage Roland Guitar Controller or Guitar Synth? How do I calibrate the synth volume? First, turn the BX-13-VC synth volume knob fully counterclockwise (zero). Then turn the Filter/CV1 knob on the Guitar to maximum (fully clockwise). While playing your guitar, slowly turn the BX-13-VX synth volume knob clockwise until you reach maximum volume. If you are using a VG-88, VG-99, VB-99 you can monitor the output level by checking what the GK-Vol knob is assigned to. Please consult your manual. 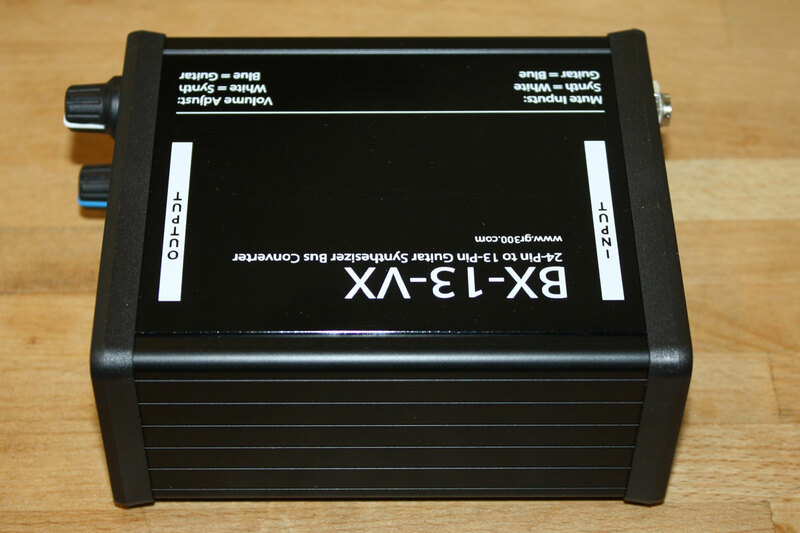 The typical position for the BX-13-VX synth volume knob is 3 o’clock, and shown in the photos above. No. 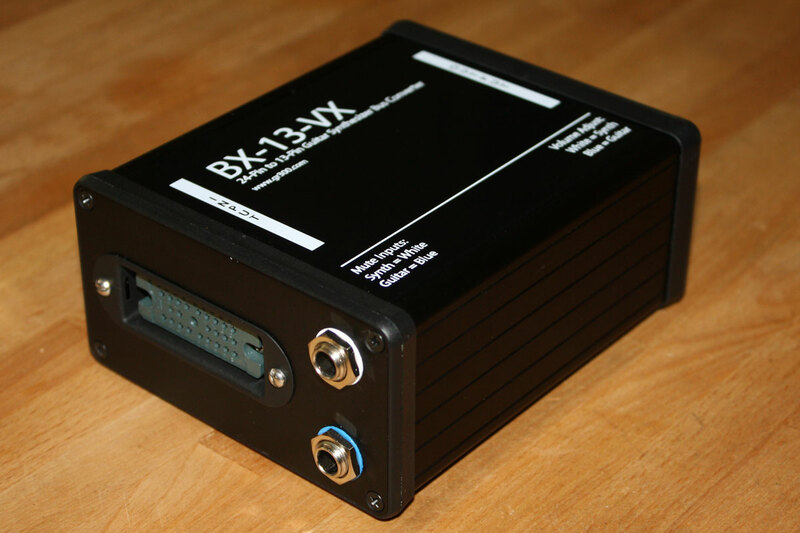 The BX-13-VC gets its power from the connection to the guitar synthesizer. This is the same approach Roland used for the BC-13, US-20 and GKP-4. 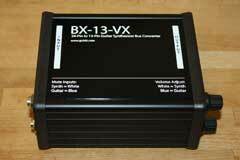 Is there anything like a "reverse" BC-13 or BX-13-VC? I want to use a modern, 13-pin guitar synth controller to control a vintage, 24-pin synth. YES! Roland discontinued the connectors from active production about fifteen years ago. So the 24 pin connectors are virtually impossible to find. I bought as many of these connectors as I could from Roland a while back. 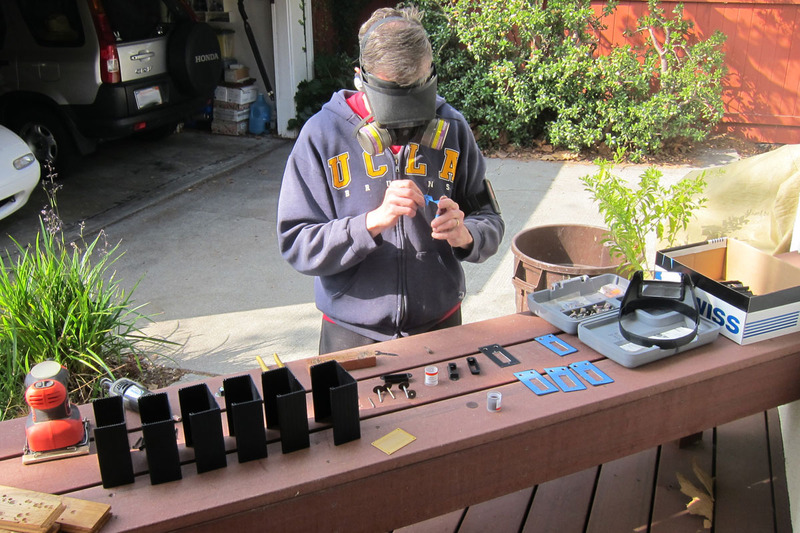 Depending on availability, I also use connectors refurbished vintage guitars and synths. Either way, there is no new supply of these connectors, so all the processors I build have a very, very limited production run.